I don’t get out much so it has truly been like a holiday to spend the night away from home. One of the prizes at the recent ‘Cómpeta Rocks On‘ extravaganza was a ‘radio experience’ that the winners did not want to take up, so it was auctioned off at a later date. David put in the winning bid and so we arranged a convenient date with the radio presenter and a hotel was booked as part of the prize. Liana and Roly went their separate ways for their own mini holidays for a couple of nights and Sheba was left to fend for herself. 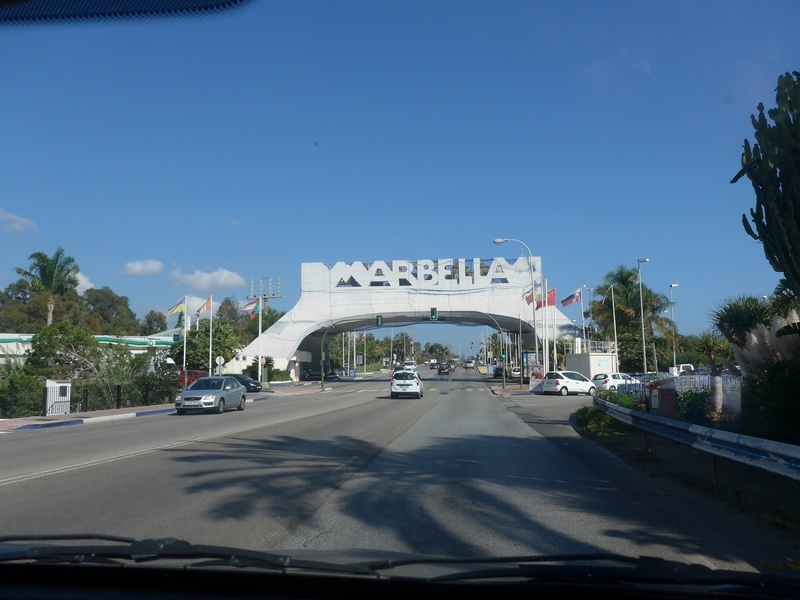 On Thursday we drove down our winding mountain road and then for an hour or so west along the motorway until we reached the well known ritzy resort of Marbella. It’s many years since either of us visited this area and we were delighted to wander around the old quarter of the town with its charming narrow alleys, extravagant flowers spilling from every balcony and the endless bars and boutiques to be discovered in every direction. It was perfect weather for mooching, slightly overcast but warm, without too much heat from the sun. First stop was chocolate and ‘small’ portion of churros, then a drink in the famous Plaza de Los Naranjos (orange square) before following the advice of a boutique owner and seeking out the delightful Bar Estrecho where we partook of a variety of excellent tapas and a glass of wine in the ridiculously narrow street where there was just room to site a single barrel for a table and a couple of stools to perch on. We then headed towards the beach and drank a coffee on the edge of the sand. There weren’t many on the beach and the very posh straw parasols were shading empty sun loungers as we watched a couple of fishing boats returning with their catch. 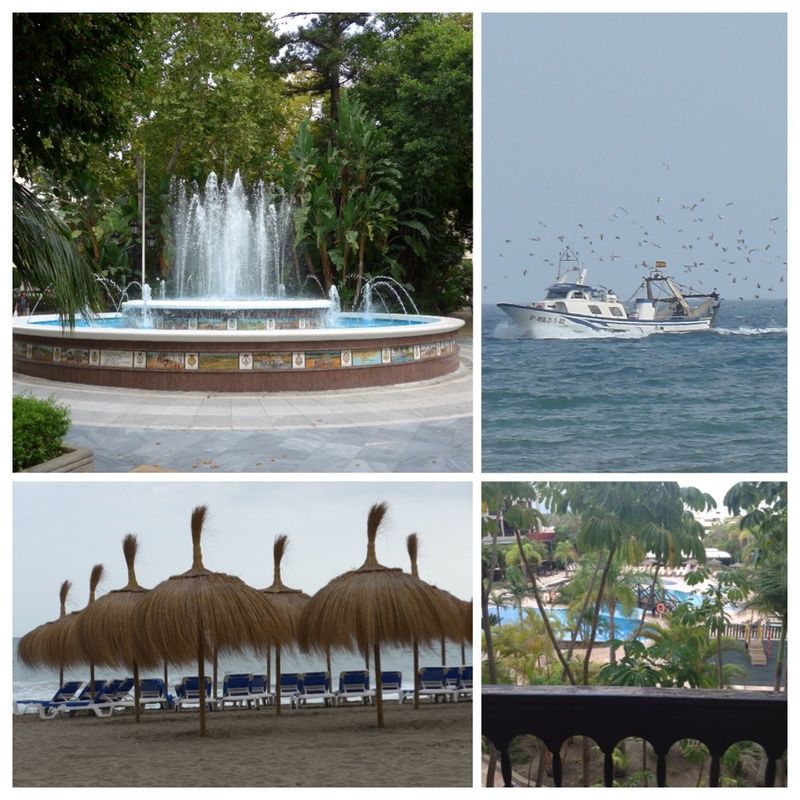 Late afternoon saw us driving 10 km further westwards to San Pedro de Alcántara to locate the radio station TRE (Talk Radio Europe) and check in at our hotel the Marbella Barceló where we were allocated a large room with veranda overlooking the pool terrace. We made our way down to the sea front for dinner and settled upon what turned out to be an excellent choice – the restaurant Nuevo Reino where we received impeccable service and fabulous food. It was then back to the hotel to get a few hours sleep before the alarm went off at 6:20 am to wake us in time to reach the radio station by 7:15 am. 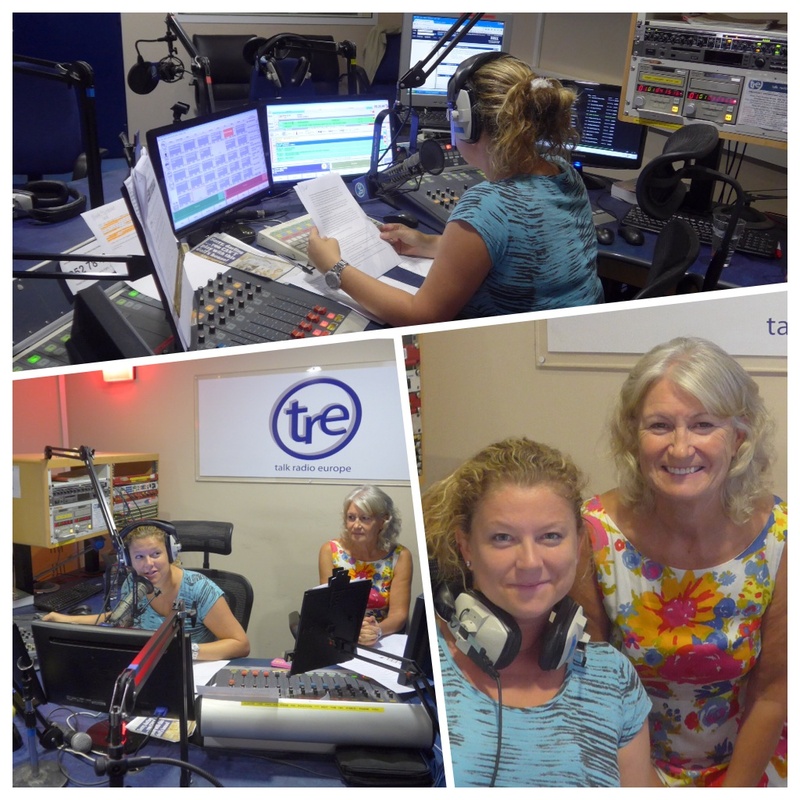 We were welcomed to the TRE premises by presenter Hannah Murray who has worked at the radio station since 2005 and has been presenting the breakfast show for two years. She immediately put us at ease and explained what preparations she was making for her two hour show which starts at 8:00 am. On entering the broadcasting studio I was faced by rather more equipment than I witnessed at my last radio experience and Hannah took her seat in front of a bank of screens and gadgets and invited me to sit beside her to witness her juggling act. Between reporting on the weather and travel conditions for various regions, she runs challenges, welcomes telephone calls from listeners, has a section for ‘this day’ anniversaries, has regular guests to report on sport and finance and interviews people from different walks of life each day. Friday’s interview theme is people with interesting jobs and today she had a chat with art historian Kevin Mulvany who creates miniature buildings (for example Buckingham Palace and Hampton Court) with projects taking up to two years to complete. A very interesting interview. The minutes flew by and in no time it was my turn to put on the head phones and sit in front of the microphone and be interviewed by Hannah. I had asked her to let me know in advance what questions she would ask me so that I could prepare my responses, but she wanted a more spontaneous chat and as a result there are an embarrassing number of um’s and erm’s included in the interview, but overall I was quite pleased with it (you can listen on the link below). Hannah was very kind and totally professional and gave us a fabulous couple of hours. 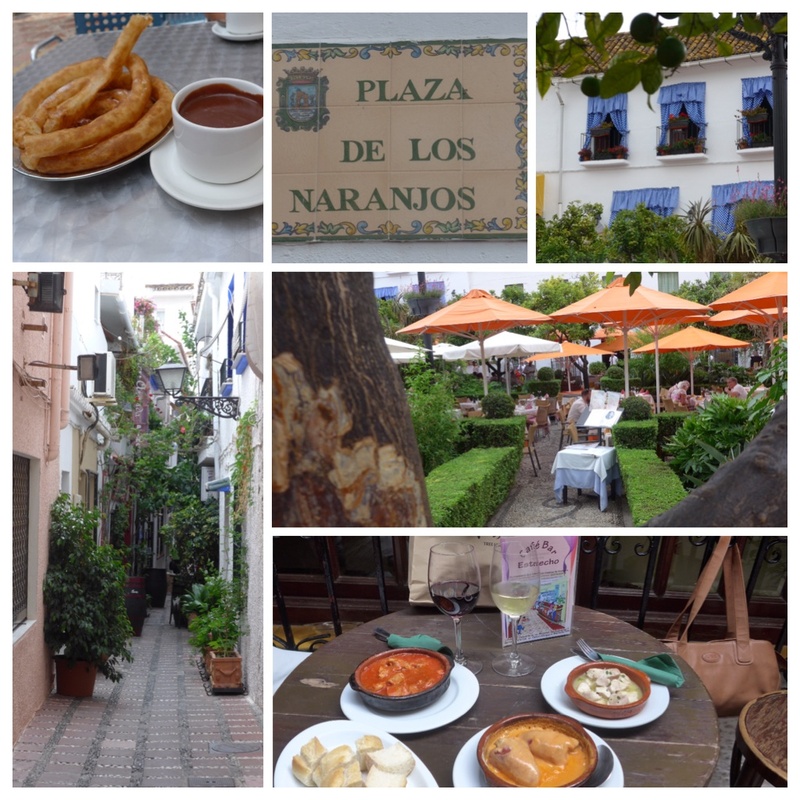 After a breakfast coffee and toast we made our way back to Marbella old quarter so that I could check out all the shops that I missed yesterday. I normally find shopping in Spain totally uninspiring, but here the independent boutiques and one-off designer shops were a delight and, surprisingly, most were within my budget. After a couple of hours wandering the charming streets we made our way back to the scene of yesterday’s lunch for a couple of plates of tapas before wandering through the lush green park and down the Avenida del Mar which hosts ten Dali sculptures, and then took a turn around the marina to reward David for his incredible patience while I was shopping. We decided to stop off in Málaga and take a good look around the Alcazaba which I was really enjoying, so much so that I forgot to look where I was walking and stepped into a narrow gully twisting my foot and cutting and bruising my knee, and worse, smashing my camera which incredibly still works, but the case is so distorted that I don’t think it can last long before getting dust in the works. Anyhow I wanted to keep my foot moving so we carried on exploring the ruins for another hour or so and then hobbled back to the car. Smashed camera and knee, both still working! 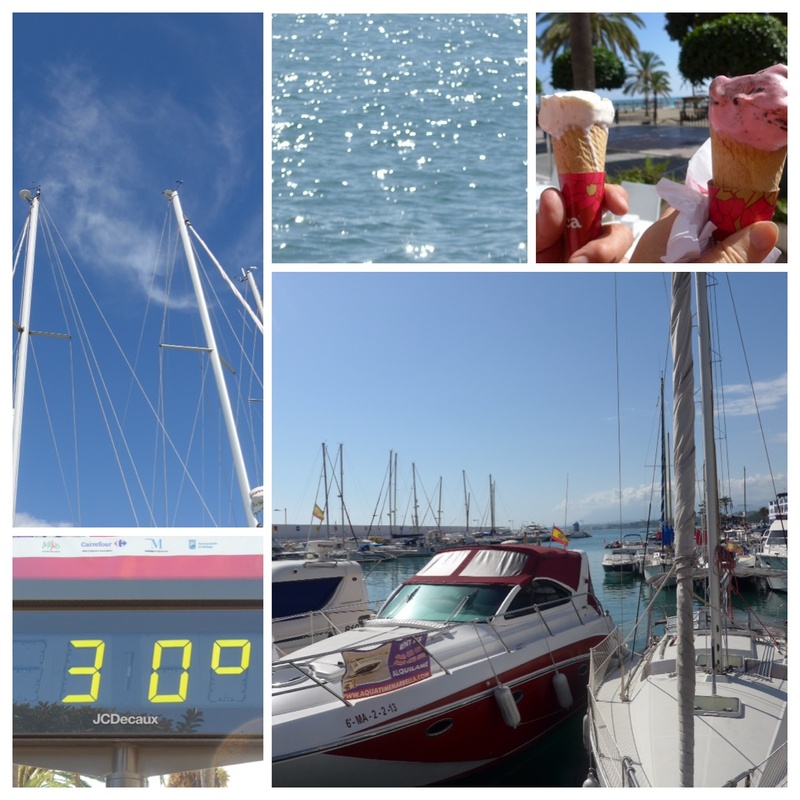 We rounded off our ‘holiday’ by stopping off at Torre del Mar, still on the coast but only half an hour from home, to have a bite to eat at the lovely Italian restaurant ‘Pizzeria Italia’, where the food is great and the service is excellent and very friendly. We reached home at the end of a very long and very enjoyable day to be greeted by Sheba who seemed very happy to see us. I would like to thank Debi Bond for organising our trip so efficiently. Incidentally the event ‘Cómpeta Rocks On’ also organised by Debi and her wonderful team of volunteers raised a total of 2,969€, which I believe was shared equally between CUDECA Cancer Care and Axarquia Animal Rescue. And whilst on the subject of charitable giving, I don’t think I have reported on my blog that the amazing and generous people of Cómpeta and Canillas de Albaida also contributed 375€ to sponsor my walk along the camino Portuguese, which was donated 75€ to Action for Animals and 300€ to CUDECA. A huge thank you to one and all. This entry was posted in A view of life, Expats in andalucia and tagged Bar Estrecho, Cómpeta Rocks, Hannah Murray, Marbella, Nuevo Reino, Pizzeria Italia Torre deL Mar, Talk Radio Europe, TRE. Bookmark the permalink. Excellent radio interview Maggie, well done! 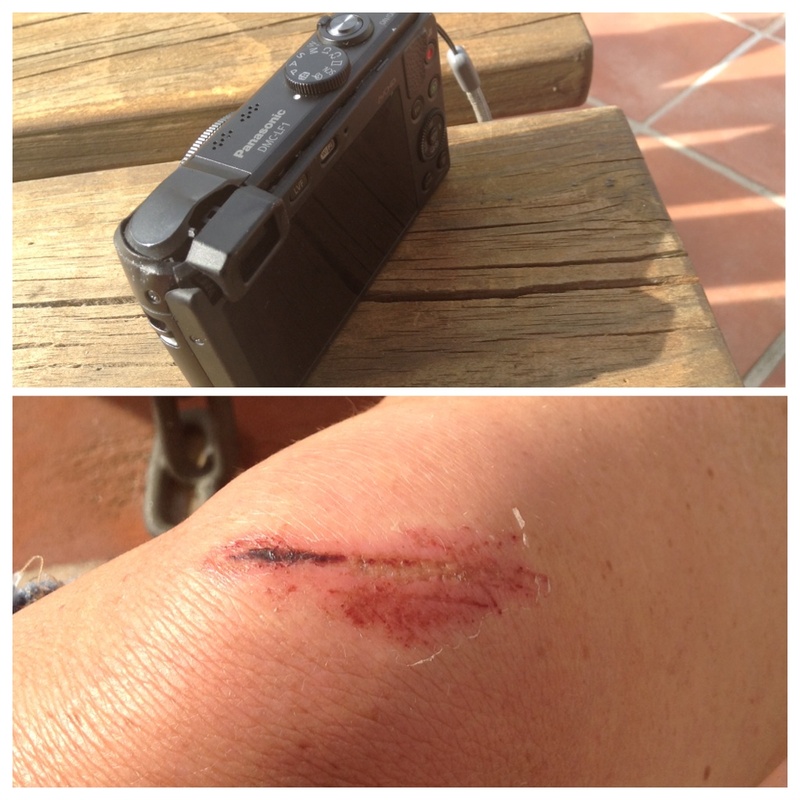 So sorry about your fall though at the end of your mini-holiday and your damaged camara. Knee now fully repaired, foot almost there and camera still a disaster! How lovely to hear your voice, you did a great interview! 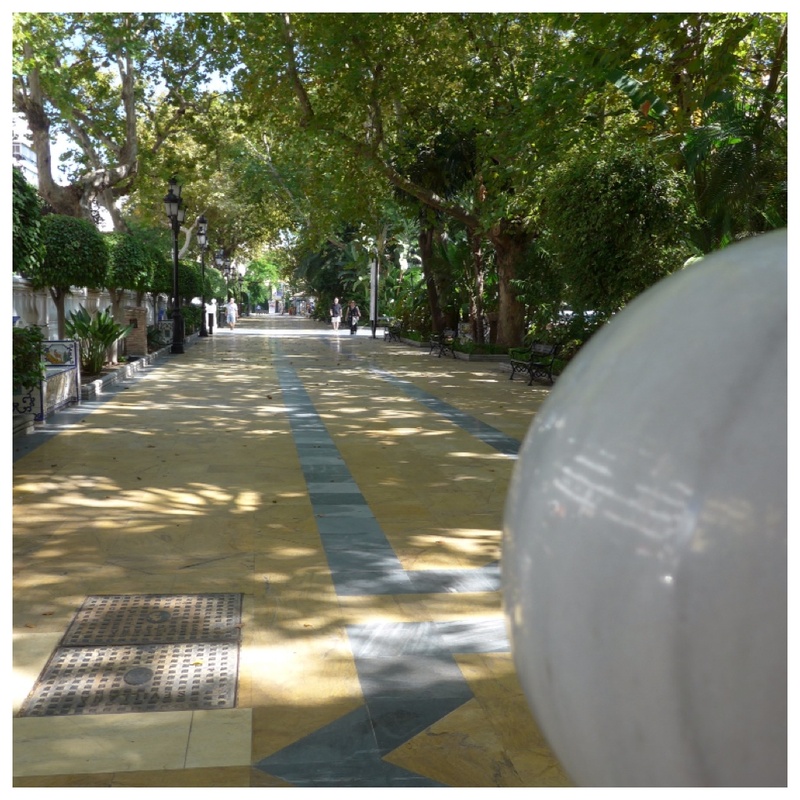 The centre of Marbella is lovely, I agree, and I have sat in that plaza too…but we do find it very expensive on the coast after the 1 euro coffees we get here in Jimena! A really nice and interesting account, thank you. Great interview Maggie, the um’s and erm’s are there, but appear quite natural. Well done! Great to hear your voice again and wow, you are planning for yet another Camino! Hi Peter. Thanks for your positive comment, I really appreciate that. Yes, another one in the planning for spring next year. Well and truly hooked!